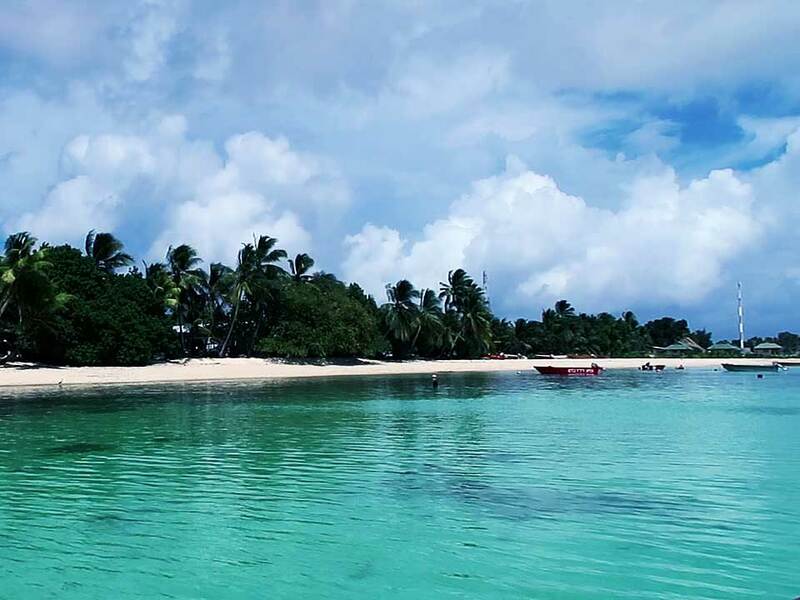 Tuvalu is considered one of the world’s most susceptible countries to the adverse impacts of climate change and rising sea levels. Tuvalu, pronounced “too-VAH-loo”, is an independent constitutional monarchy in the southwest Pacific Ocean between latitudes 5 degrees and 11 degrees south and longitudes 176 degrees and 180 degrees east. Formerly known as the Ellice Islands. The population of approximately 11,097 (est 2016) live on Tuvalu’s nine atolls, which have a total land area of 27 square kilometres. This ranks Tuvalu as the fourth smallest country in the world, in terms of land area. 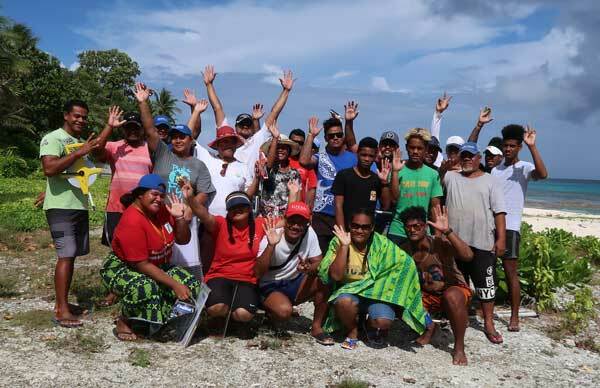 Dr Adam Smith of Reef Ecologic had the great privilege to travel to Funafuti, the capital of Tuvalu in Julv 2018 and he worked closely with young Pacific leaders such as Faoliu Teakau (a 2017 International Coral Reef Management and Leadership fellow) on coral reef issues and management. A primary reason for the visit was to exchange knowledge between Australia and Tuvalu on coral reef management and leadership and particularly on reef restoration. 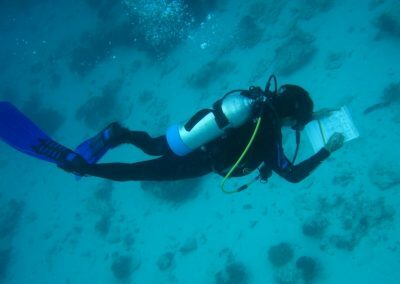 While Faoliu was participating in the 2017 International Coral Reef Management and Leadership course he saw our work on reef recovery at Magnetic Island where we remove seaweed. 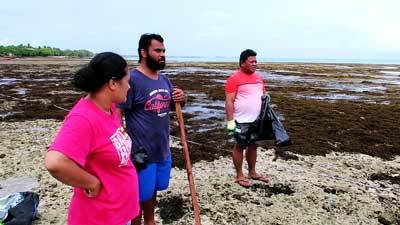 In Tuvalu they have a big environmental and social problem with the introduced species of seaweed Sargassum polycystum. They think it was introduced around 2010 from shipping. It dominates the lagoon and creating all sorts of problems. Wrapping around boat propellers. It’s itchy. It excludes certain fishing techniques and it’s getting worse. 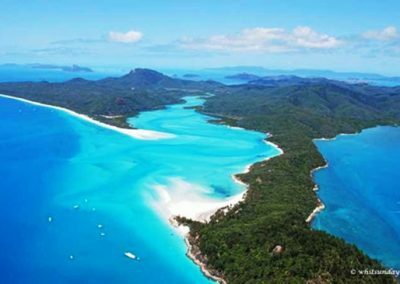 So we wanted to share knowledge, undertake some quantitative scientific research and initiate a reef restoration program or an intervention. 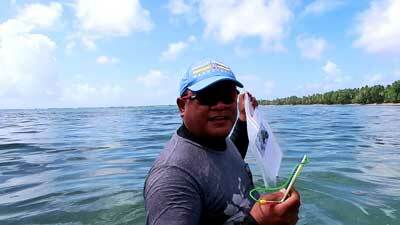 We conducted baseline ecologic research at 12 sites. 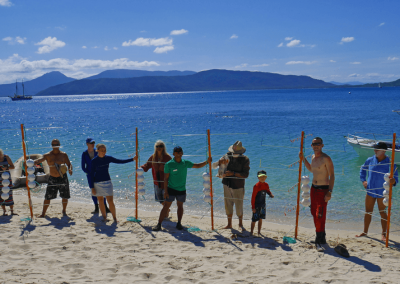 We completed a reef recovery program by removing seaweed from 50m X 50m quadrat. We filed 3 trucks and collecting 2509kgs of sargassum over a 5 hour period. The seaweed was used sustainably in local agriculture. 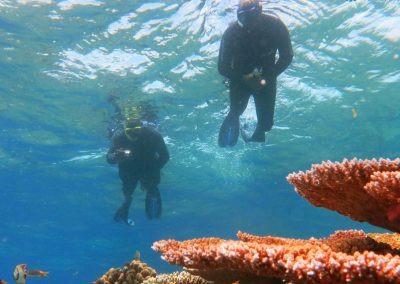 This video is just a small part of the very important story about the health of our coral reefs and what we can all do to make them better for future generations.